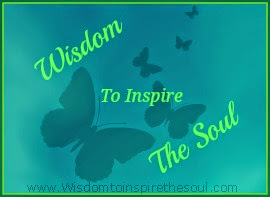 Daveswordsofwisdom.com: 14 Ways to Reduce Bacteria in Your Mouth and Prevent Bad Breath. 14 Ways to Reduce Bacteria in Your Mouth and Prevent Bad Breath. A survey showed that almost 45% of the world’s population suffers from bad breath at least once during the day. In America, at least $10 billion of oral hygiene products are purchased every year that’s how bad the problem is but you don’t need to spend that much money if you know the right ingredients that combat bad breath or halitosis. 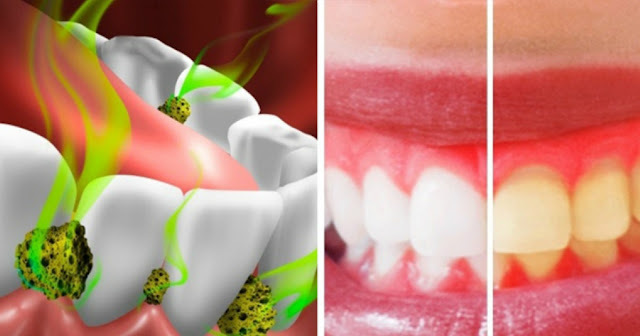 Here are some sure ways to kill bacteria in your mouth and fight bad breath just by using natural ingredients found in your home. You can make a natural mouthwash by mixing a teaspoon of baking soda and one cup of water. Rinse your mouth with this daily. 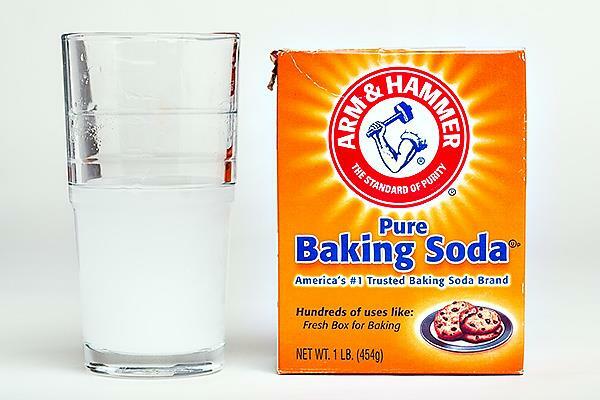 You can also use the baking soda for cleaning your teeth by dipping your toothbrush in it and using it as a toothpaste. Natural mouth fresheners are excellent for bad breath. 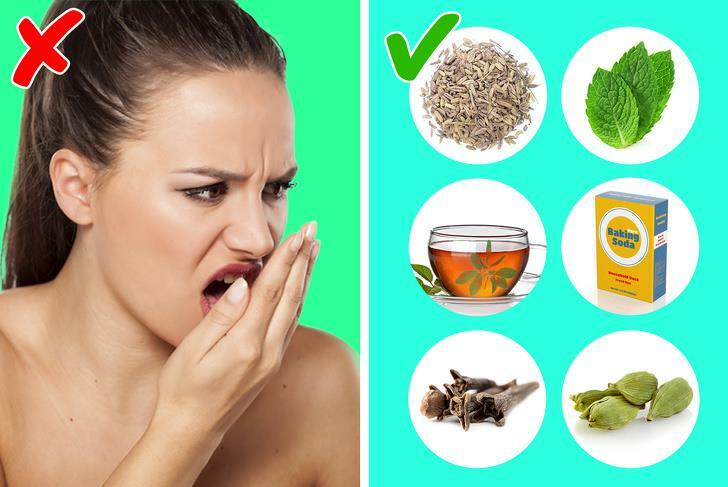 You can chew on spices like cloves, cardamom, and fennel seeds for bad breath. Fennel especially is widely regarded in the east as a regular mouth freshener after meals. Star anise seeds though strong are also effective as a mouth freshener. 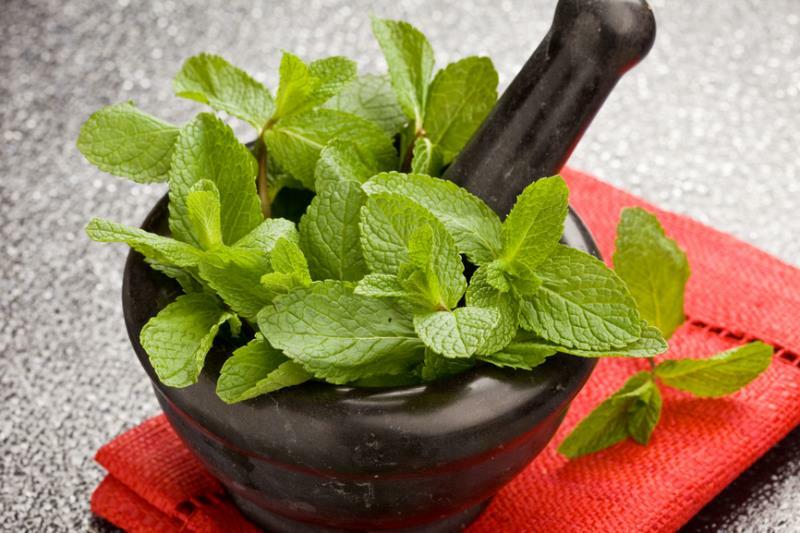 Mint leaves can freshen your mouth as well as fight bad breath. Chewing fresh coriander leaves also is a good way to freshen your breath after a meal and fight the effects of bad breath after meals. Tea brewed from fenugreek leaves is an excellent remedy for halitosis. 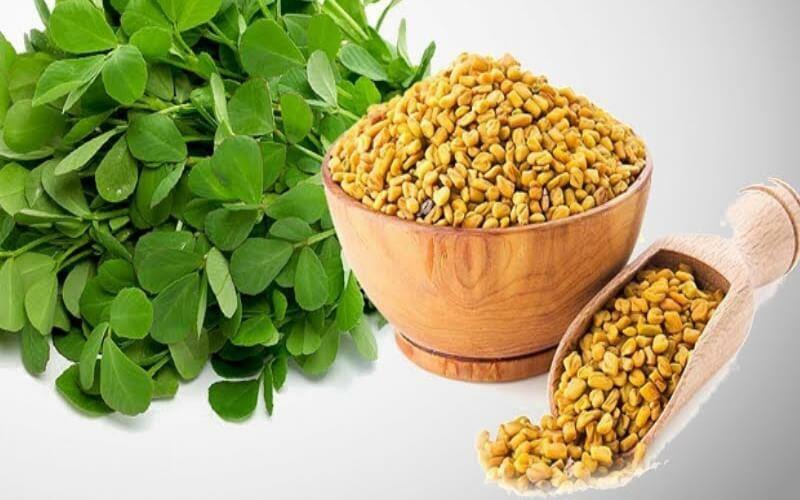 Fenugreek has antibacterial properties. 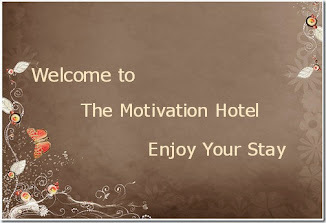 You can brew a cup of this every morning and have it after your breakfast or during the day. In most cases, bad breath problems start from not drinking enough water. Water hydrates you and promotes saliva that kills bacteria in your mouth. 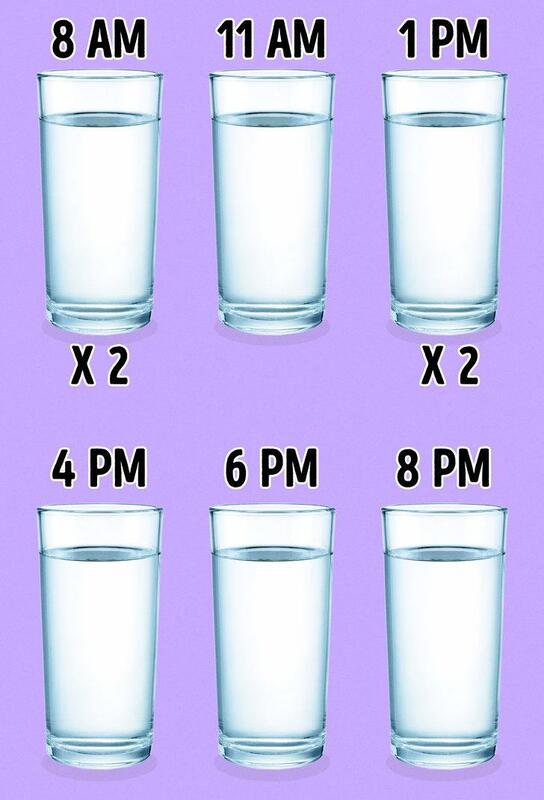 Lack of moisture and saliva increases bacteria in the mouth so it’s best you drink at least two litres of water a day. Sugar is one of the main culprits that ultimately cause bacteria buildup in the mouth, especially at night. After your night meal or snack, make sure you have drunk enough water and swished your mouth thoroughly. Don’t drink any sugary juices or snacks after that. There are a number of foods known to cause bad breath so one must be careful of them. These are best avoided like onions and garlic. 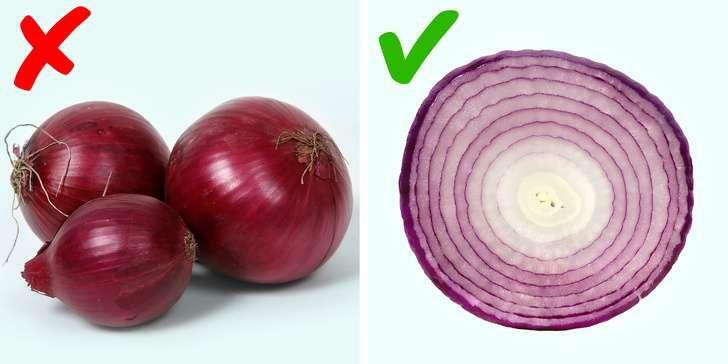 However, research also proved that onions have the power to destroy four types of bacteria responsible for tooth decay and gum problems. So don’t avoid them completely. Foods with a high fructose and acidic content should also be avoided because they promote bacteria in the mouth. Apples and yogurt are really good for maintaining oral health. Apples especially contain heteropolysaccharide pectin which is good for stimulating the production of saliva in the mouth. Yogurt provides active cultures that reduce bacteria. There are many people who make the mistake of not scraping their tongue after brushing their teeth. Your tongue can be full of tartar and plaque. Use your toothbrush to scrape your tongue of bacteria and plaque. Dentists recommend you brush your teeth at least for two minutes daily yet studies have shown that just 55% of women and 49% men brushed twice daily. 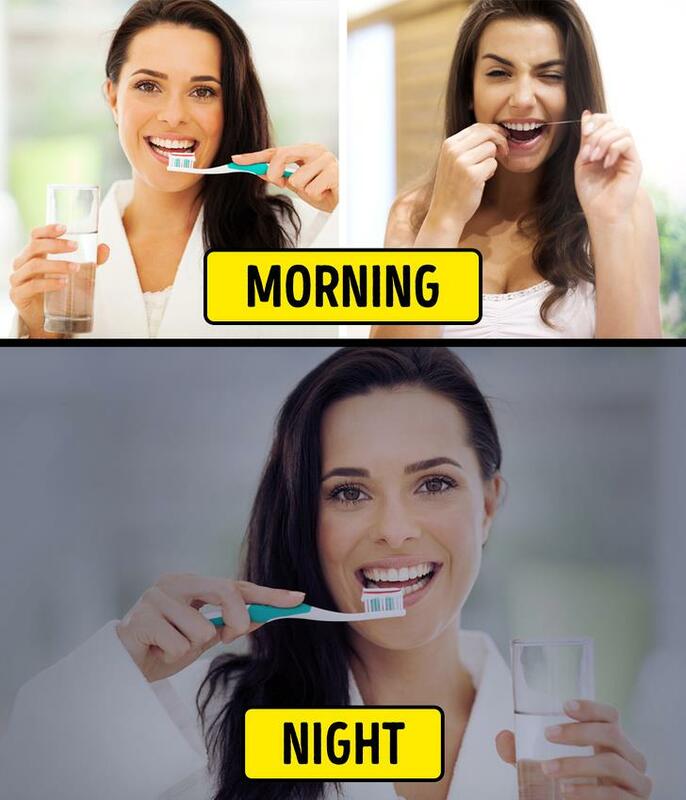 Brushing at night after meals help dislodge trapped food particles that can lead to buildup of bacteria and tartar. Your gums are just as important as your teeth. Bacteria collecting in the gums at the base of the teeth cause gum disease and bad breath. For healthy gums, a fluoride-based toothpaste is best. Avoid smoking as this reduces the immune system that is associated with the majority of gum problems. 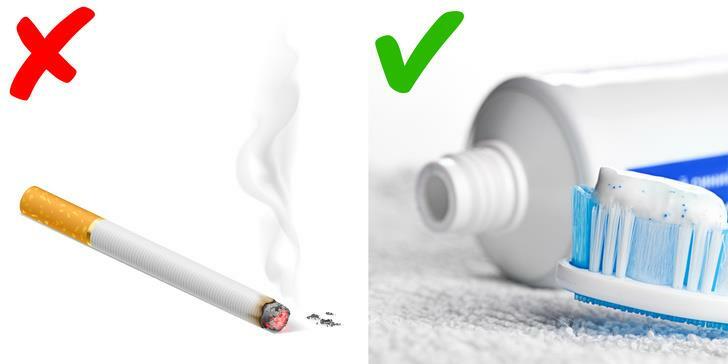 Smoking reduces the gums ability to heal. 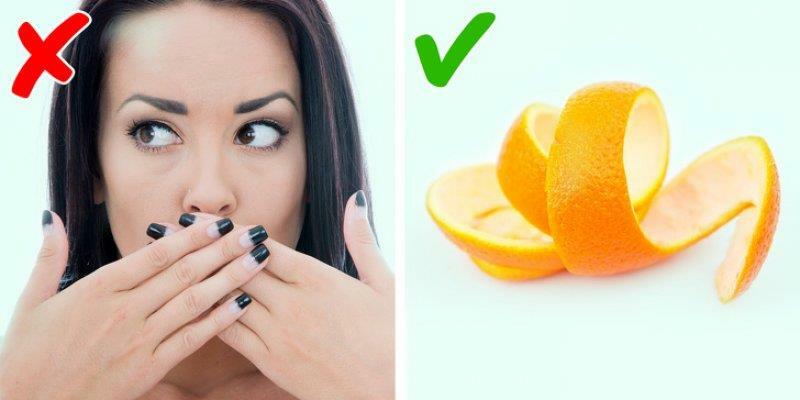 Citrus fruit peels like orange or lemon are great for curing bad breath. Just rinse them first and then chew on them. It will make your breath fresh and produce more saliva to prevent bad breath and fight plaque. It is the citric acid in the fruit peels that are mainly responsible for fighting oral problems. Bad breath isn’t just caused by problems in your mouth. You could be experiencing poor gut health and that may be making your mouth smell. 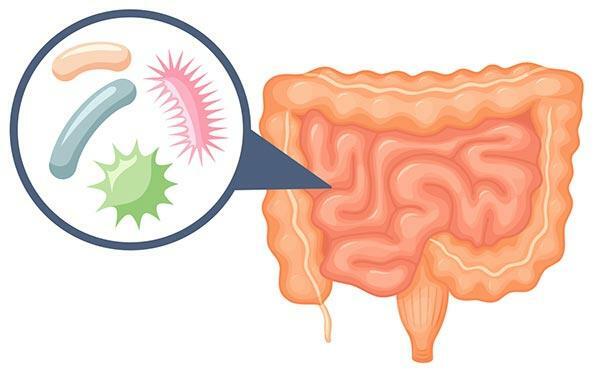 Consuming probiotic foods or supplements would help in reducing the odour by improving digestion and gut health. Fermented foods and yogurt are the best way of getting your daily dose of probiotics. When your body breaks down fats for energy, it produces ketones that are sometimes released in the mouth and this is what could make your mouth smell bad. 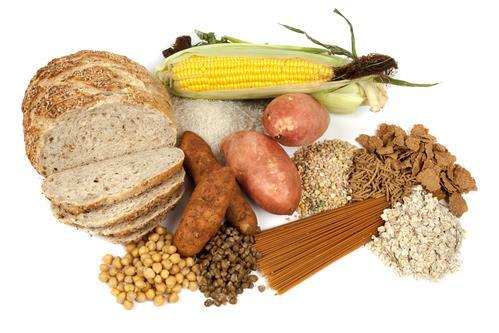 Eating healthier carbs can avoid this happening like fruits, bananas and corn, and whole grains.